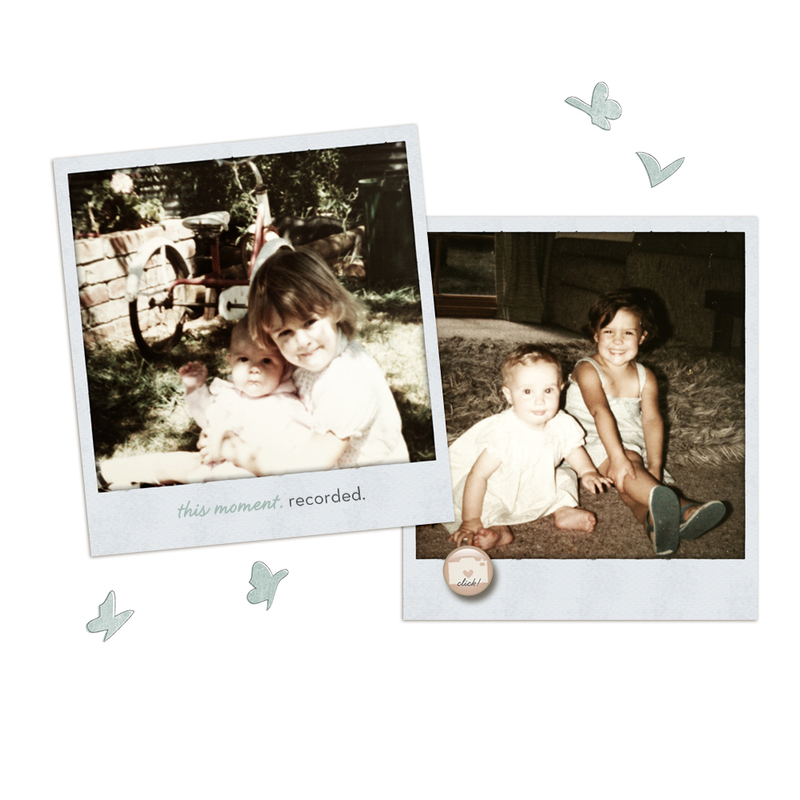 Your mind starts to wander back to the days when she was so small she thought it was the best thing ever when her big sister came home from kinder and pushed her around the backyard in a cardboard box for fun...when she was small enough to squeeze into the best hide and seek places. We've been through a lot together...the worst kind of heart-ache you wouldn't wish upon anyone, and the flip side of can't-catch-your-breath tears of laughter. I used to want to be the middle one, but as the years march by I think I like the view from here...the eldest of three...love them to bits. I am about three months away from welcoming my third child into the world, and apart from being beside myself with excitement about having what is these days quite a large family, I can’t help but think of how lucky this baby is already. He or she will be born in the same position I was privileged enough to be born into: third. Having two older siblings has been the luckiest stroke of my life and it happened, with no effort from me, on the day I was born. My older sisters, Catherine and Elizabeth, were nine and seven when I was carried into our outer-suburban home in 1973. I don’t remember too much about that house because we moved to the UK soon after, but I hear the eating areas had “revolutionary” carpet. Its main feature was that it could be cleaned by a purpose-built “carpet sweeper” , but it could also scrape your shins clean of skin if you fell off your inflatable hopper. It was like you’d come off on gravel. On the plane to the UK I was looked after by my sisters. They also pushed the Maclaren stroller and later saved up their pocket money to buy me the teddy bear I coveted from Debenhams department store. Dozens of photos show me sitting comfortably on Catherine’s hip, not my mother’s . They both always said it was like a dream come true to get a real-life baby to love and look after – and even now, 38 years later, I think they still feel the same. I will always be their baby sister, eternally fve, which I'm sure makes it difficult for them to even imagine me with three kids and a mortgage of my own. Having older sisters gave me an immediate gang. I had two kids who were always on my side. Their infuence is a part of my DNA. My parents made my bones, but I feel like those two girls put meat on them. When I shifted schools in grade 3, I was the only new girl in class. I don’t remember having trouble ftting in, but there must have been some issues because Catherine and Elizabeth decided to get me some good press without having to wait for a birthday party. I wouldn’t be 10 until November and they simply couldn’t wait that long for me to make an impact, so they hatched a plan for an Easter party. And so it happened. All my new friends received handmade invitations in the shape of bunny rabbits and arrived in their Sunday best at my home on a sunny day in March toting armfuls of chocolate rabbits and Humpty Dumpties. I was in with the girls at school nine months ahead of time. Those sisters of mine were PR geniuses! When all my friends were merely seeing the movie NeverEnding Story, I knew the theme song was sung by Limahl – the guy who fronted Kajagoogoo, a group which was the brainchild of nick Rhodes from Duran Duran. I also knew Limahl’s real name was Christopher Hamill and that his stage name was an anagram of his surname. When my peers were collecting Holly Hobbie, I was collecting imported copies of Smash Hits and learning all the words to Nik Kershaw songs. My sisters made me cool. and they got me out of stuff. I really despised piano lessons, so when it was Catherine’s turn to drop me one day I unloaded my gripes on the way. I just loved being in her pale-blue VW Beetle. We would listen to Simple Minds on cassette and enjoy her mix tapes with classics from Grace Jones to Yazoo. When we got to the class she said, “Wait here” and I watched her snake her way, dressed in staggers jeans and a SABA top, down the side entrance of my cranky, arthritic piano teacher’s house. A few moments later she re-emerged and said with a toss of her Kim Wilde hair, “You don’t have to go back. Ever.” I think we may have gone and shared a hot chocolate at the Black Cat Cafe instead. I learned to drive in Elizabeth’s yellow datsun stanza. she would take me to a local drive-in car park on Sundays and let me bunny hop as much as I wanted. She never got mad at me for riding the clutch. Later, when she moved overseas, she would write me hilarious aerograms from exotic locations like Tegucigalpa and Cape Town. When she returned one time fush with working-holiday funds, she shouted me an enormously expensive pair of leather boots and I cried because I didn’t think I deserved them. I grew up reading their air-freight copies of Vanity Fair. I knew about the photography of Annie Leibovitz and Diane Arbus and the experimental music of Japan, Laurie Anderson and Talking Heads. They encouraged me to read Truman Capote and Harper Lee and Jack Kerouac. And they bought me Swatch watches and Clarins cleansers. Nothing, it seemed, was too good for their “doll” , a name that has stuck with me to this day. They openly gushed to their friends about my achievements, from class captain to junior librarian, at primary school. They have been delighted by me my whole life. Just delighted. It is a rare gift to know you thrill someone just by your very existence. and they gave that to me freely, constantly. They still give it today. So to you, my unborn little one who has but three months before you come into this world, I say congratulations. Because you have hit the jackpot with two older brothers who will give you a lifetime of feeling cool and wanted and special. and provide great insight into what a cuckoo lady your mother is!